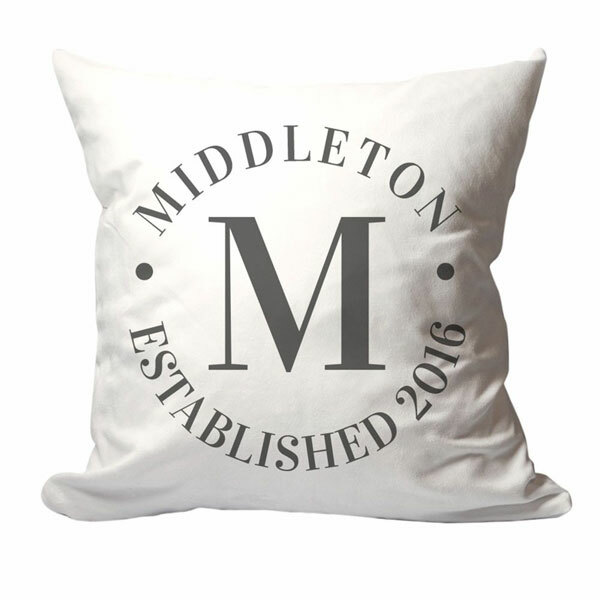 Your last initial is displayed prominently on this beautiful and simple design with your last name and year established circling the large letter. Generously sized at 18" x 18". 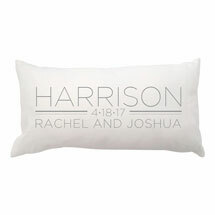 Ideal gift for a housewarming, anniversary, or wedding. Specify family name, up to 20 characters, and year. 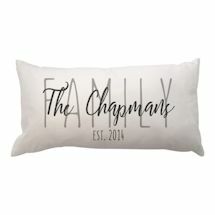 White pillow with charcoal font. 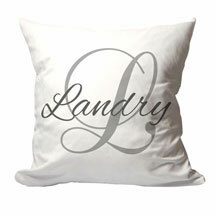 Machine washable, suede-like 100% polyester. Includes insert. Allow 3 weeks. No rush delivery or gift box. Item can only be shipped within the Continental US.